The Takemusu Aiki Association was established by Takayasu Sensei in 1980. The aim of the Association is to support and promote in Australia, the Aikido taught by Morihiro Saito Sensei 9th dan at O’Sensei’s Iwama dojo. 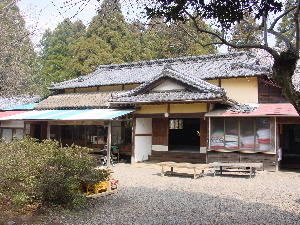 O’Sensei described his practice in the Iwama dojo as “takemusu aiki“, the method of unlimited variations. It is this Aikido that the Association has inherited from O’Sensei and his practice in Iwama and continues to keep alive. The Association is a non-profit organisation that has played a quiet but positive role in spreading Aikido over many years. The Association has been a regular participant of the public demonstrations for the Japan Week Festival at the Sydney Opera House, Town Hall, Darling Harbour and the Queen Victoria Building, and has hosted regular Aikido seminars with special guests and visitors from Japan, particularly bringing Saito Sensei to Australia. The Association approach to Aikido practice is non-partisan and inclusive. All students of any style of Aikido or other martial art are welcome to join in training and our members are free to experiment and train with other Aikido styles, or other martial arts. The Association is also happy to establish friendly working relations with other clubs and dojo in order to promote and improve understanding about Aikido. Our hope is that through this exchange all students will gain a deeper understanding of the power of the art bequeathed by O’Sensei. The Association has grown to include seven dojo in New South Wales: Sydney City, Ku-ring-gai, North Sydney, Canberra and Braidwood. Each dojo is run by a sensei who is teaching the traditional Aikido of the founder, Morihei Ueshiba as passed on to Saito Sensei in the Iwama Dojo.